Cut tofu into 1½-inch cubes. Heat coconut oil in a large skillet over medium heat.. Fry tofu, turning occasionally, until golden brown all over, 5 to 6 minutes total. Transfer to a paper towel-lined plate and set aside. *If using chicken cut them into 1 ½ inch pieces. Cook till there is no pink. Follow the same steps as the Tofu. Bring a large pot of salted water to a bowl. Add broccoli and cook until just tender, 2 to 3 minutes. 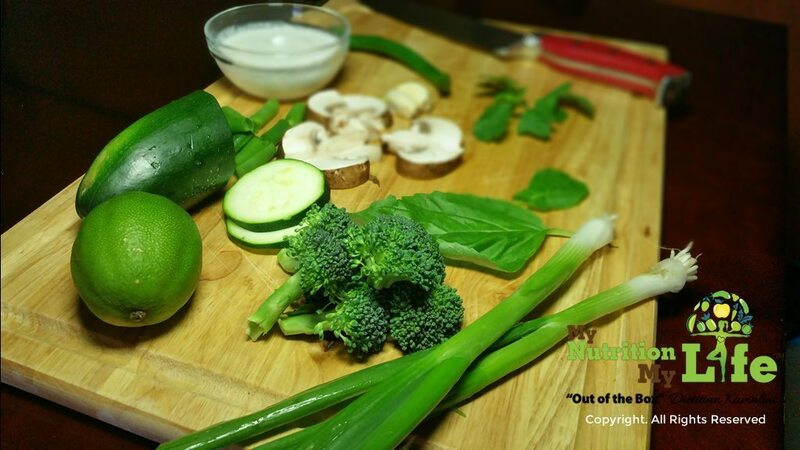 Using a slotted spoon, transfer broccoli to a bowl of ice water until chilled then drain well. Repeat process with green beans; set aside. 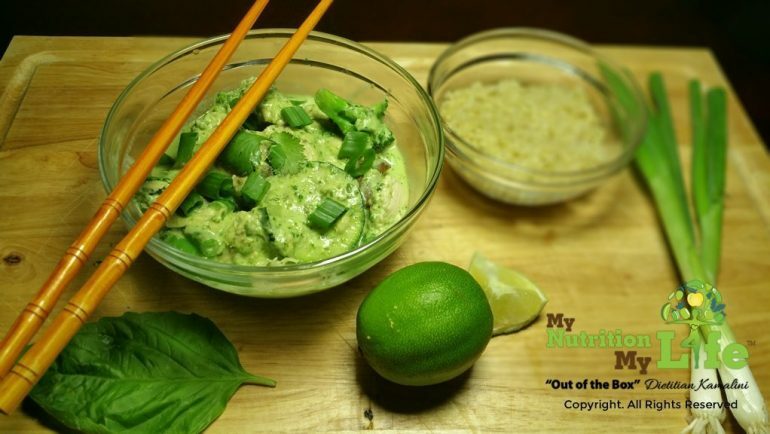 Put cilantro, mint, basil, coconut milk, chiles, ginger, lemongrass and ½ cup water into a blender and puree until smooth. Transfer green puree to a large skillet and bring to a simmer over medium heat; season with salt and pepper. Add Zucchini, broccoli, green beans, mushrooms and tofu or chicken and cook just until warmed through, about 2 minutes. Divide quinoa or brown rice between bowls and top with curry,. Garnish with green onions and lime wedges.